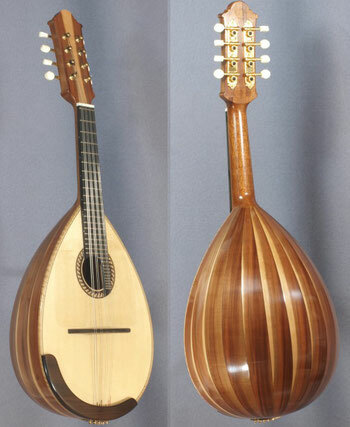 Concert Mandolin - my own model - urs-langenbachers Webseite! 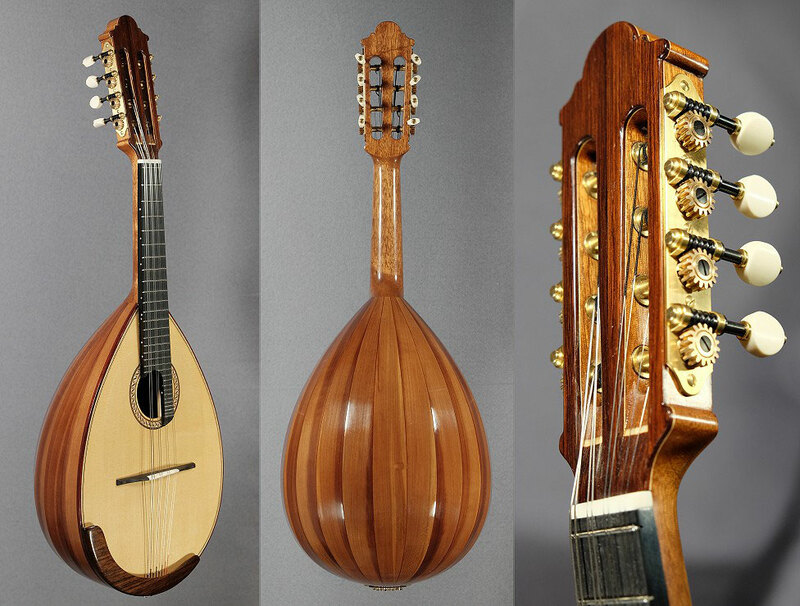 Each mandolin is an individual project based on the particular customer´s requirements (fingerboard width, neckshape, string spacing...). 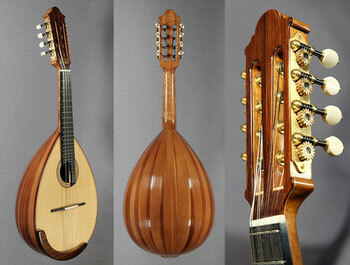 For my concert mandolins I am using a 13-rib bowl. My aim is to achieve a warm sounding instrument with a freely vibrating tone that ebbs away. This is the reason why there is little curve in the tops of my instruments. The resulting low forces on the bridge allow me to build without additional reinforcement of the top. All mandolins come with French polish. 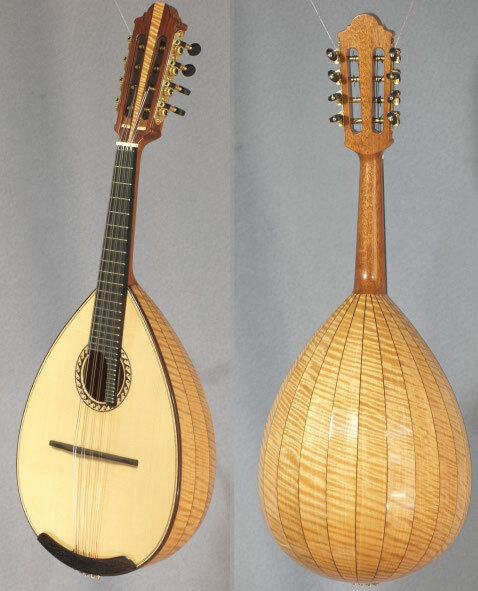 This instrument has the standard string length of 33.5cm. The bowl is made from native plumwood making use of its natural colour vatriation between the center and the sap wood as a decorative element. The top is made of selfcut spruce. All wooden decoration is handmade. You see an instrument with tuners mounted from the back to faciliate stringing. This instrument's back is also made from native plumwood with a white cedar top. Its tuners are mounted sideways, a newly designed Scheller ball bearings tuning machine. Here you see two instruments with bowls made from flamed Aningré and East Indian Rosewood with contrasting filets. The customer ordered it with shortened armrests.